Picturesque snapshot from the Pestera village in Piatra Craiului - by Meir Jacob Picturesque snapshot from the Pestera village in Piatra Craiului. 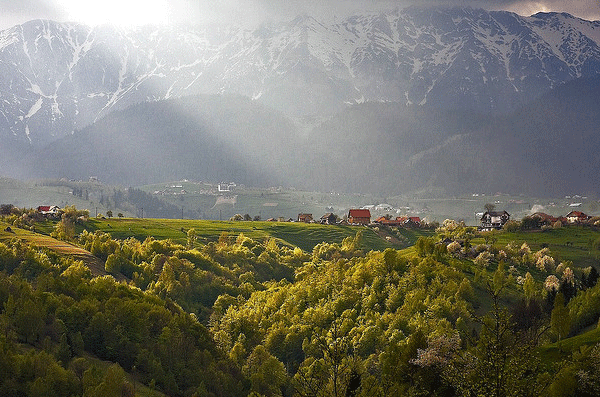 The whole purpose of this endeavor is to bring you Eastern Europe’s most beautiful gems. Among them, Piatra Craiului, a natural reserve and national park in Romania, the land I call home. Regarded as the most beautiful ridge in the Carpathians, the Piatra Craiului two-day north–south trail is both challenging and rewarding. First, you’ll have to climb up the ridge, and then, the path takes you along a narrow spine. The route is not recommended for beginners, and it’s advisable to be avoided in bad weather conditions. The landscape is breathtaking: deep gorges, pitted slopes and dark caves await to be discovered. 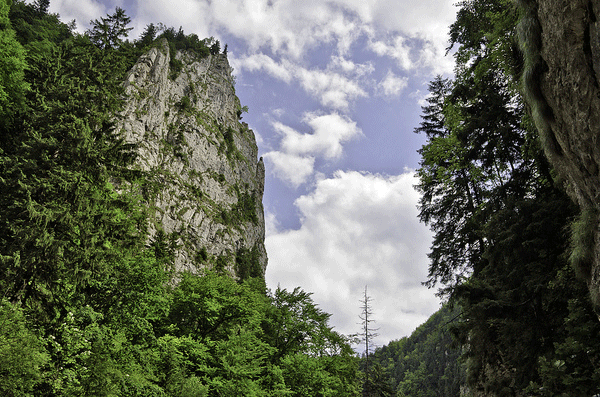 The range itself is part of the Piatra Craiului National Park. Since 1842 the spectacular beauty of the mountain hasn’t changed much. Today, the national park is one of the most popular travel destinations in Romania, preferred by both locals and foreign tourists. Ethereal evening rays over the plains and forests along the road between Rucar and Bran, captured on camera by Horia Varlan. The images speak for themselves – untainted beauty, on heights that bring you closer to the demigods… a fairytale land you can only discover on foot. Those who come here like to camp in the woods, to be closer to the heart of the nature. But the wildlife here is not that friendly: there are still bears, and wolves, which could be dangerous if their territories are disturbed. There are snakes as well, and at least two endemic species of spiders that could harm you if you are not familiar with their unwritten rules. One of the main rules found in the guidelines of the park is: Choose the trail that best fits your abilities, do not venture or overestimate your strength! I’d like to add, no matter how skilled you are, don’t venture alone. The nature here is strong and proud, at times moody. There are six shelters that can protect you against nature’s fury: Diana, Spirlea, Vf. 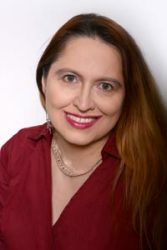 Ascutit (Carol Lehman), Saua Grindului, Saua Funduri, and Grind. But these can only be used for survival, during the night or in case of emergencies due to health problems or bad weather conditions. Tourists are allowed to spend one night at the shelters; if the weather conditions do not allow tourists to continue their journey the following morning, the stay may be extended until it will be safe to continue their hike. 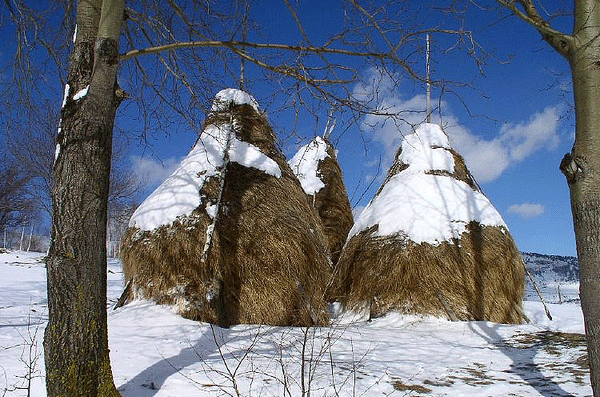 Accommodation can be found in any of the areas neighbouring the massif, (Bran, Moeciu, Sirnea, Ciocanu, Podul Dambovitei, Dambovicioara and Satic). There are also the chalets and the camping sites inside the park, and agro-touristic pensions in the villages inside the park (Pestera and Magura). Huge vertical rock walls deep into a narrow canyon known as Prapastiile Zarnestiului, immortalized by Horia Varlan's camera. The most important town for visiting the national park is Zărneşti, a town in Braşov County. Take the forest road in the south-western part of the town, that will take you to the Zărneşti Gorges (Prăpăstiile) and further up to the ridge. 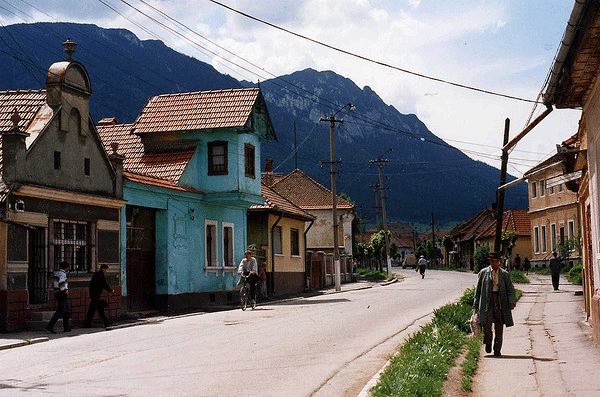 Zărneşti hasn't changed since 1994, when Felix O took this picture. It is still as interesting as the traditional villages Măgura, Peştera, Ciocanu, and Şirnea, which also make good starting points for visiting the park. 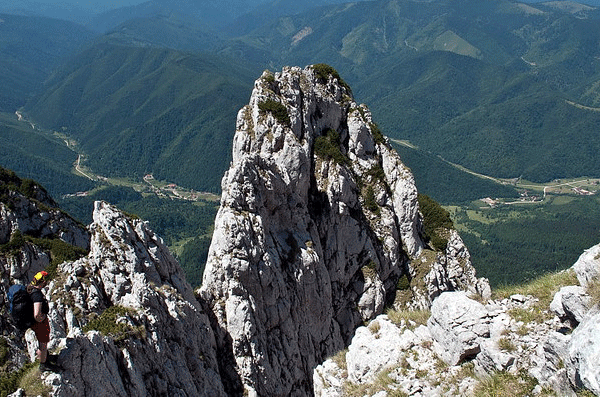 The main tourist attraction inside the Piatra Craiului National Park is the Piatra Craiului Massif itself. Other attractions include the Zarnesti Gorges, Cerdacul Stanciului, Zaplaz, and Dambovicioara Cave, to enumerate just a few.